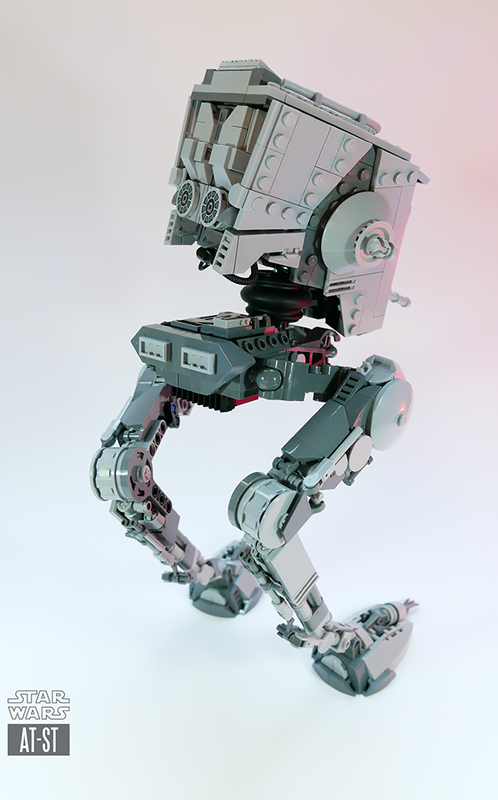 A fully articulated, minifig-sized, Star Wars AT-ST. Version 2.5. Full LDD design in the ZIP file, please read the PDF first. LDD only, thus you need a computer! 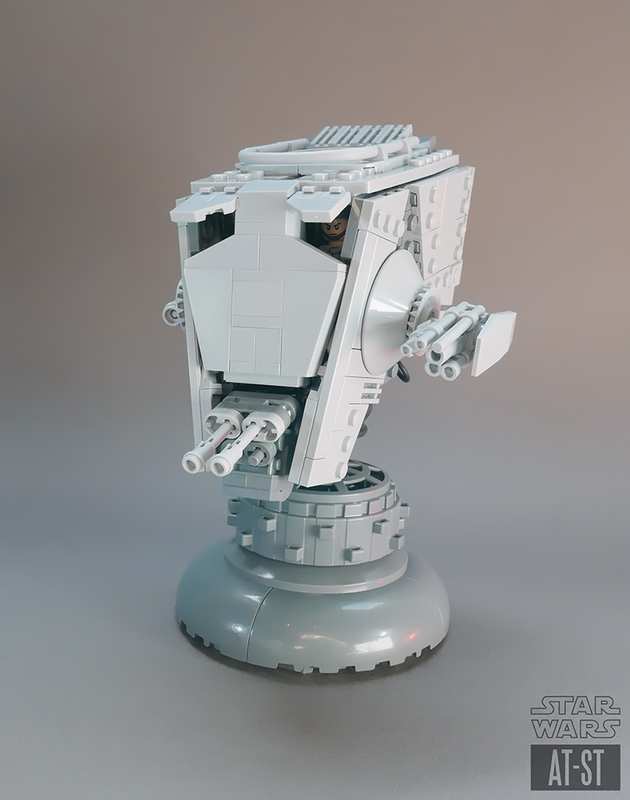 Update (Feb 2019): PDF and Studio instructions kindly provided by KingFab. Disclaimer: this is a display model, not a toy. It cannot be played with, will easily crumble if tossed around, and takes quite some time to pose. In other words: not kidproof, at all, and in no way as easy to assemble as an official LEGO set. 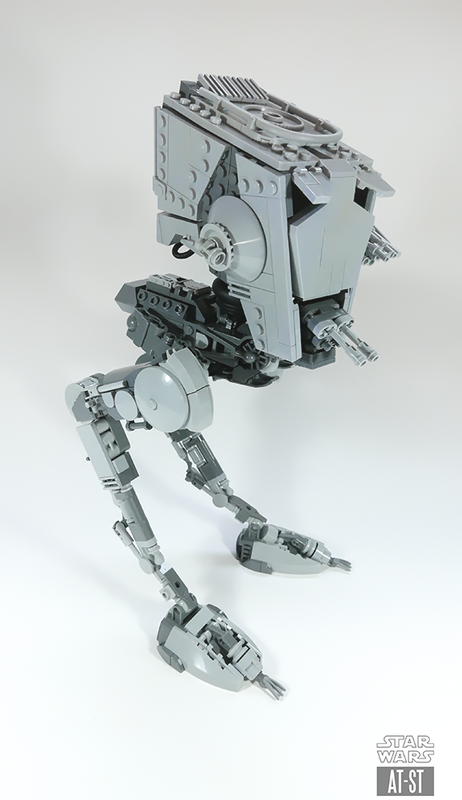 Note: the part list is for the standing AT-ST, not the bust version. Please pick what you want to assemble before hunting for parts. Also, the LBG tube in the inventory is 2L longer than necessary, but you may even find cheaper, longer ones. You will have to cut it depending on how you decide to form the rail, anyway. A basic curve will require 17L or 18L maybe. 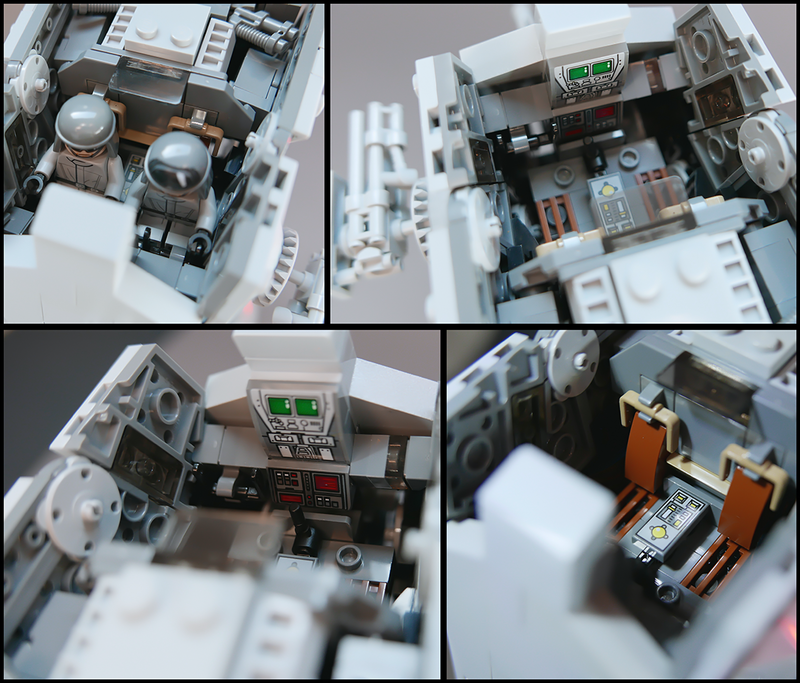 Finally, you may use the sticker sheet of Lego's 75153 for the dashboard inside the cockpit, as well as the round vents in the back, in case you don't wanna use the older printed tiles. €6.00 Have a coupon code?